If you are looking for something a little different in your puzzles try this fun shaped puzzle! 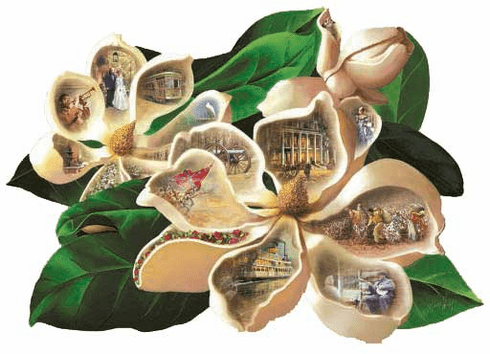 Completed puzzle in shape od magnolia blossoms. This puzzle is Eco-Friendly and printed with Soy-Based Inks on Recycled Board. Proudly made in the USA.